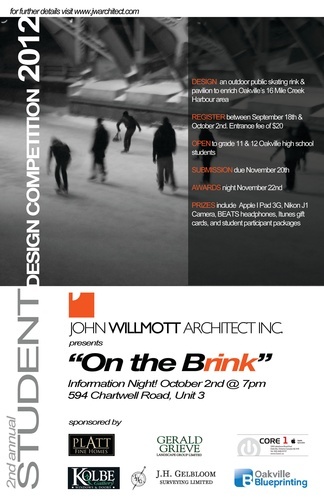 Student Design Competition | John Willmott Architect, Inc.
Our JWA Student Design Competition was initiated in 2011 to inspire grade 11 and 12 high school students in Oakville interested in architecture or a related design field. 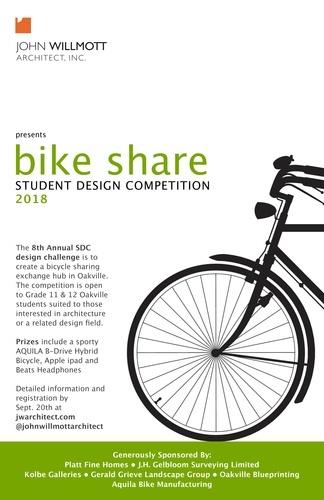 Students are challenged to design a small structure commonly in the public realm with professional guidance simulating the experience of university level design course. 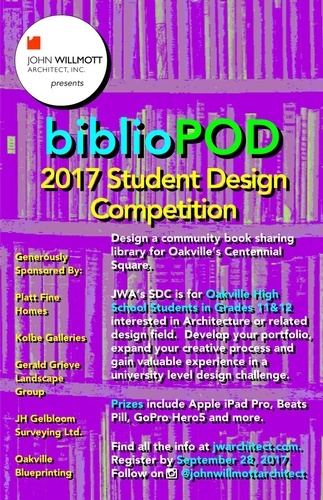 The opportunity exposes students to architecture, helps develop their portfolio and prepares them for their applications to university or college. 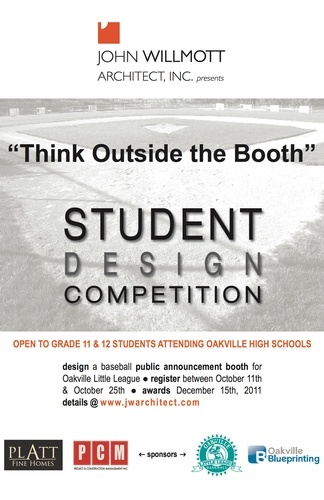 Many students who have participated cite our competition as a contributing factor in their successful acceptance to many different post secondary architecture or design programs. 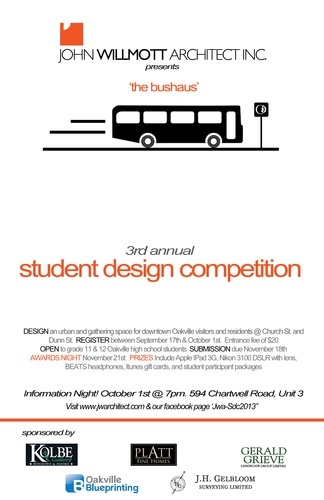 The competition format brings out the best in student’s creativity and top place finishers are awarded with great prizes. 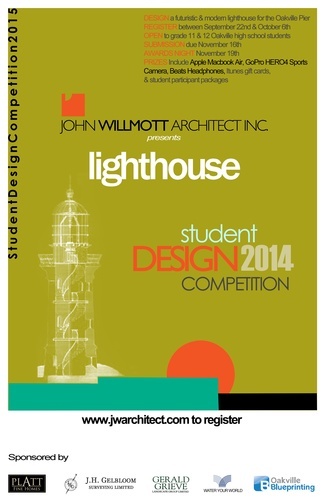 We are continually impressed by the student’s enthusiasm, advanced design ideas and presentation skills. 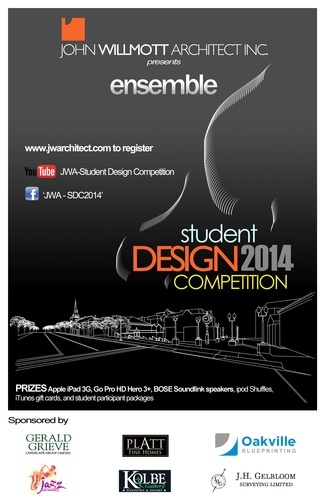 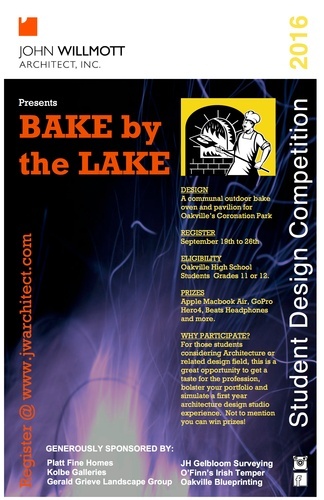 Please browse our competition posters below from past years to see the types of projects students have designed.